With constant developments in social media, it is no more just a means through which members from your family can share embarrassing pictures of you for the rest of the world to see. In fact, it has gone a step further, especially for businesses, as they can now easily reach their potential customers and promote their brand. That being said, as a marketer, you’ve got to learn how to correctly put these platforms to use in order to reap their benefits. Of course, having an active presence plays a huge role since it’s essential for your survival. Nonetheless, that won’t be enough for you to take your brand to the next level – being updated about all the latest developments and implementing them into your business is equally imperative! We’re already nearing the end of the year and trends are constantly evolving, so admittedly, it’s certainly not easy to keep yourself updated about all the things happening in the social media landscape whilst simultaneously running a successful business. Keeping that in mind, the team at Supreme Pens have compiled a list of trends launched earlier this year which you may well have missed – but don’t worry, you’ll soon be in the loop. Instagram stories are ludicrously exciting, not to mention the easiest way to lose hours without even realising. And the new popularity does not look like it is going to dwindle any time soon. Also, with all the Snapchat-esque filters, which can turn you from normal human into cute puppies and bunnies in just seconds, Instagram has definitely exceeded themselves. Compared to all other video platforms, Instagram stories have grabbed the spotlight and become a huge deal in the marketing world. Earlier it was just your profile where you could possibly add a link. But now Instagram stories allow accounts with more than 10,000 followers to add a link in their respective story. It’s perhaps one of the coolest ways for brands to boost their purchasing and enquiry opportunities, which is why it has made the top of the list. It’s a marketing tool all businesses should utilise. Social media is constantly changing and being in the loop with what’s working one year does not necessarily mean that you’ll be doing the right thing a year later. Simply remaining relatively active on numerous platforms will not be enough anymore – you must push your brand to do better. If you wish to take your marketing tactics up a notch, then it’s high time that you move away from all platforms that are “free” and instead focus on the investment that paid approaches bring. Paying for paid promotion might cost more initially, but when the sales start flooding in, you’ll certainly be happy that you took the leap away from all things free. Since the inception of this approach, Facebook has managed to bag over 6 million advertisers on their platform, while Instagram has captured the attention of around 2 million marketers on a monthly basis. The reason businesses favour this approach is because it is simple, relatively cheap and it enables them to reach a particular demographic that they might not necessarily connect with by other means. Online hangouts blend really well with Generation Z and the trend of live streaming. Think about Houseparty – this is basically an application which allows people to FaceTime with multiple friends in a group setting. In the year 2017, this app made quite an impression with its speedy growth and it struck the right chords with its target audience. This trend is soon going to connect with Virtual Reality, though admittedly, last year it did seem like every brand was promising integration with VR. When in reality, so far, the only VR that has reached the world on a huge scale is Pokémon GO – though it was an amazing few weeks for many people, so who’s really complaining? But it has been noted that this year has been different, as huge steps have been made in the social media world. Most of the promising apps coming our way have got another year of beta testing left, but that aside, there has been constant improvements in technology and we will all get to reap the benefits when they are finally released. That being said, it is Facebook that’s once again at the epicentre for many, with its virtual Facebook Spaces. And it’s something everyone is excited about, so keep your eyes open for its arrival! So, that wraps up our list of social media trends which will certainly help you take your brand to the next level to ensure that you stand out from the rest of the competition. But remember, whilst social media is a huge part of marketing your business, you need to also go old school and explore all the traditional marketing options too. 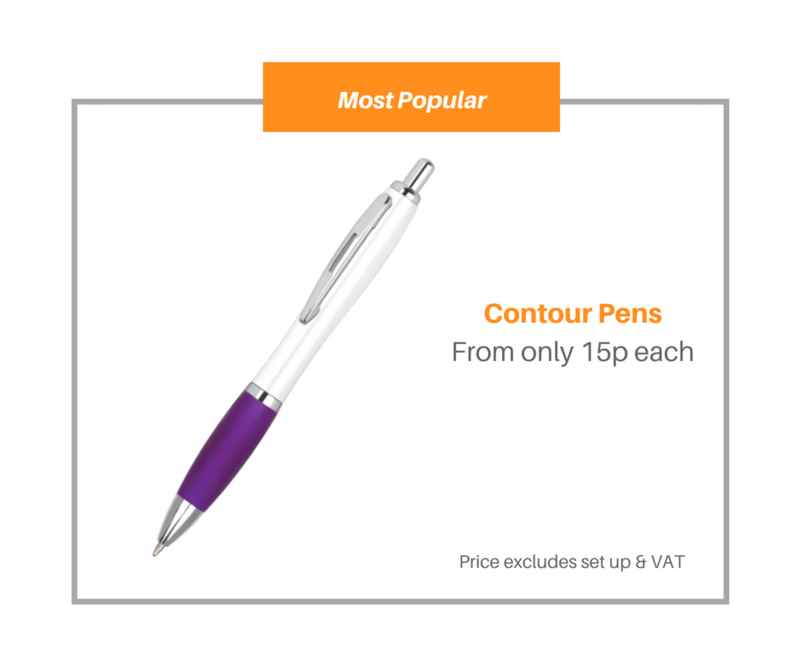 Yes, that’s right, we’re talking branded pens, free office mugs and all the other cheesy stuff that is still the go-to for many companies because ultimately, it works. There’s just something about a freebie that a simple scroll through social media can’t contend with.